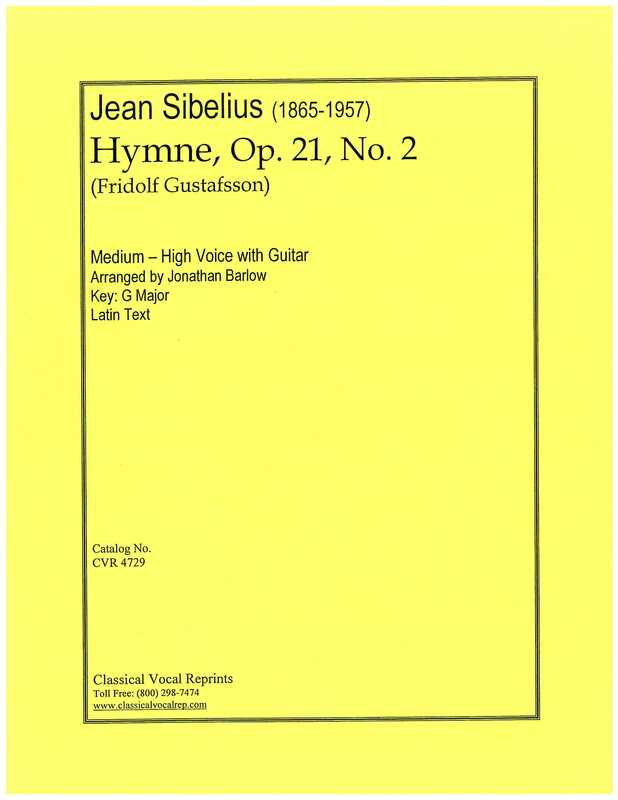 Jean Sibelius’s Hymne is a beautiful piece originally written for unaccompanied male choir. This transcription retains the Tenor I part and the remaining voices are played by the guitar. This highlights the beautiful vertical sonorities in a unique way and encourages a new level of personal expression in the vocal part.